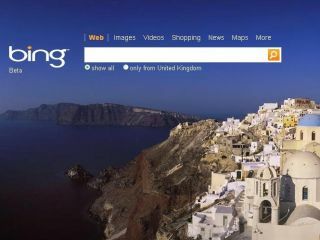 Microsoft has introduced a 'visual search' function to its Bing search engine in its continuing attempt to offer new and different ways of searching the internet to those already on offer from search giant Google. Bing's visual search is currently in beta and, unsurprisingly, claims to allow users to browse information and data online using pictures instead of the traditional text input. In order to access the visual search, users will need to change their Bing settings, located next to the sign in option in the upper right hand corner of the page, from UK (or wherever you are) to the US. Visual search is squarely aimed at the mass market consumer, with the initial focus on travel, health, leisure and shopping. (Essentially, those areas where most of the big consumer brands' advertising cash is up for grabs). "The world of search is going to change," argues Microsoft's VP of Online Services Yusuf Mehdi, who thinks visual searching "will pivot how people search." TechRadar will be looking at Bing's Visual Search in further depth throughout the week, but the initial reaction is that it is good to see some much-needed competition in the search market. Microsoft originally unveiled its new Bing search engine earlier this year in May, with the company launching Bing Visual Search at this month's TechCrunch 50 conference in San Francisco. Google has wasted no time and has quickly hit back, unveiling a new Fast Flip news search feature. Nielsen's most recent figures on US-based internet searches show that Microsoft's share of all American-based searches grew to 10.7% in August. Google is still by far the dominant search engine, claiming 60.7%, with Yahoo trailing in second place with 16%. Microsoft claims users are able to process visual results 20% faster than text, arguing that Bing Visual Search is "like searching through a large online catalogue."